Our Exhibitor Services Team is an invaluable resource to assist your exhibitors with transforming their ideas into unforgettable events. We look forward to working together to help your exhibitors to achieve their most ambitious goals. 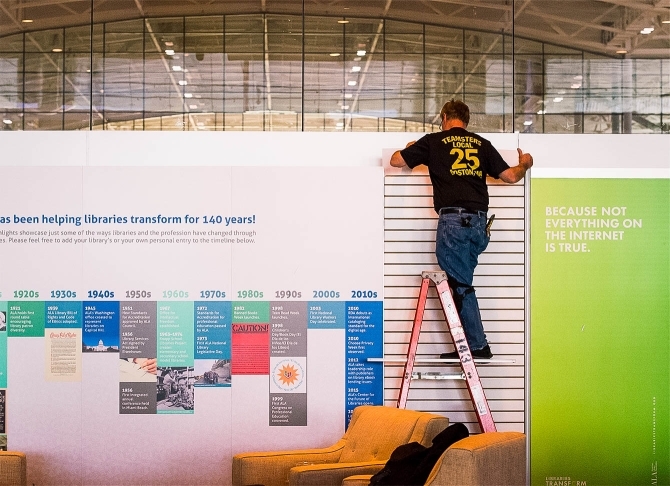 Moving booth equipment in and out of a convention center can be stressful, but in Boston, our aim is to make the process smooth, with flexible labor rules that provide options for your set-up and break down. Load and unload a personal, company-owned, or rented vehicle so long as it does not exceed 24 feet in length. Use hand-operated, non-mechanized equipment, including two-wheeled hand trucks and four-wheeled flat trucks, so long as this equipment is owned by the exhibiting company. Pack and unpack company-owned displays and equipment. Use hand-operated power tools to set-up and dismantle booths and equipment. Plug in their own internet and electrical devices after the connections have been delivered by MCCA personnel. Additional services such as professional labor and equipment can be purchased through the general service contractor prior to an event or onsite. 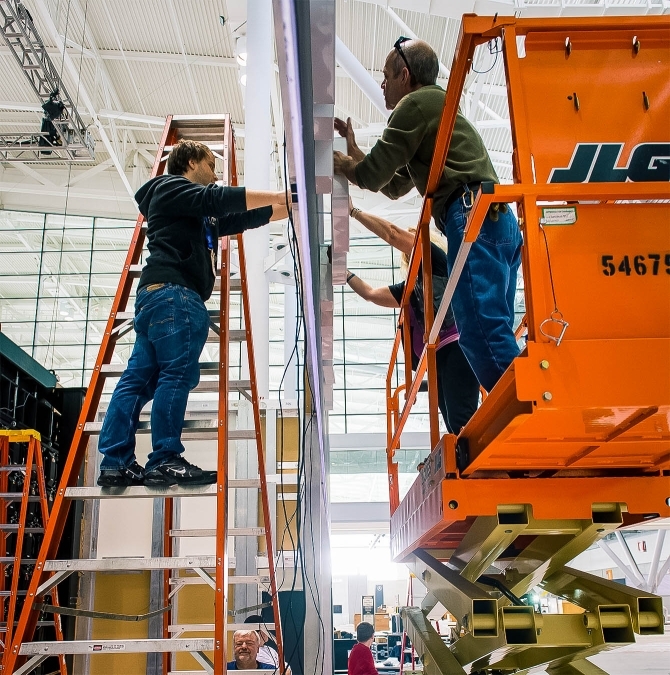 Use of fork trucks, pallet jacks, and other mechanized equipment by exhibitors is prohibited. At the BCEC and Hynes, event planners and exhibitors are encouraged to recycle through the MCCA’s Conventions C.A.R.E. (Community Assistance by Responsible Events) program. Donations are placed in bright blue bins that are then arranged to be transported to local nonprofits.